....was kind of released today.... Is that supposed to make sense? Congresswoman-elect Alexandria Ocasio-Cortez criticized the Democratic caucus opposing Rep Nancy Pelosi’s bid for House Speaker by pointing out the demographic makeup of its members. Another. "....change our leadership for the sake of it...." It's not possible that the old leadership was inept. Or gone. Or decide they don't want to do it any more. Right? On the other hand, she's mad there aren't enough of the "right" people opposing Princess Nancy when they get around to "chang(ing) our leadership for the sake of it." 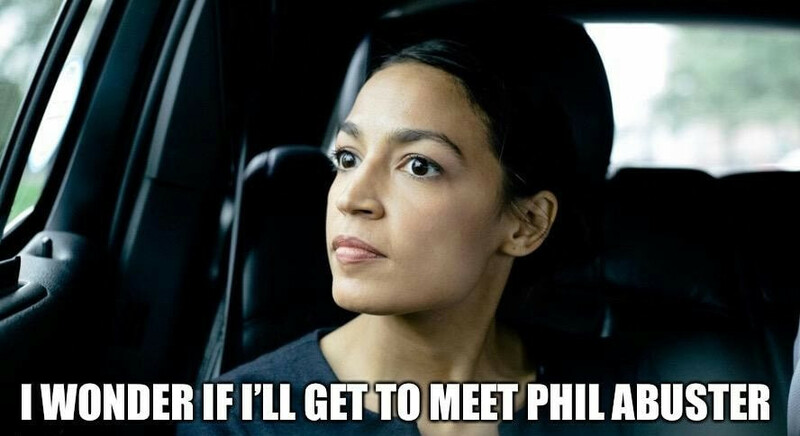 She'll be in Congress when the vote happens. On day one they'll tell all of the people like her who is really in charge and warn them to go along or be one-termers. It'll be sometime after that when they'll be sworn in, and after that when they'll vote for new leaders. Since she'll already be sworn in, she can start signing laws (she can do that according to her) to force more "people of color" and non-men to oppose Princess Nancy. 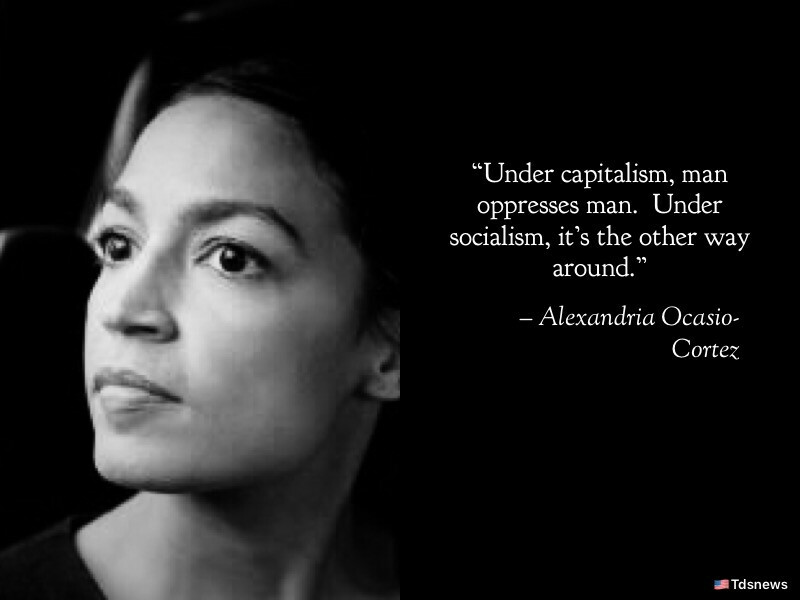 She's a socialist and socialism thrives on making people do what they don't want to do. So she just needs to force the "perfect" set of people to vote against Nancy. By law. That she, Brainiac, signs. She says these dumb things on channels that are friendly to her. Because she's stupid, but they're so stupid they don't realize she is, too.